Why is STEM learning so important? According to the U.S. Bureau of Labor Statistics, jobs in STEM-related fields will have grown to more than 9 million by 2022, an increase of more than 1 million jobs since 2012. STEM activities also teach kids a plethora of valuable skills that can translate to other fields, such as problem-solving, critical thinking, creativity, design thinking, and persistence. 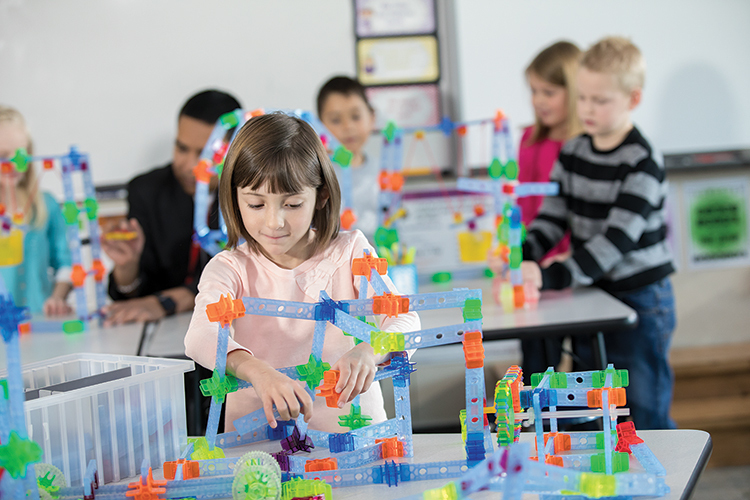 Engineering is a critical component of STEM learning, and many engaging tools are available to help you teach engineering and building concepts to students starting at a young age. 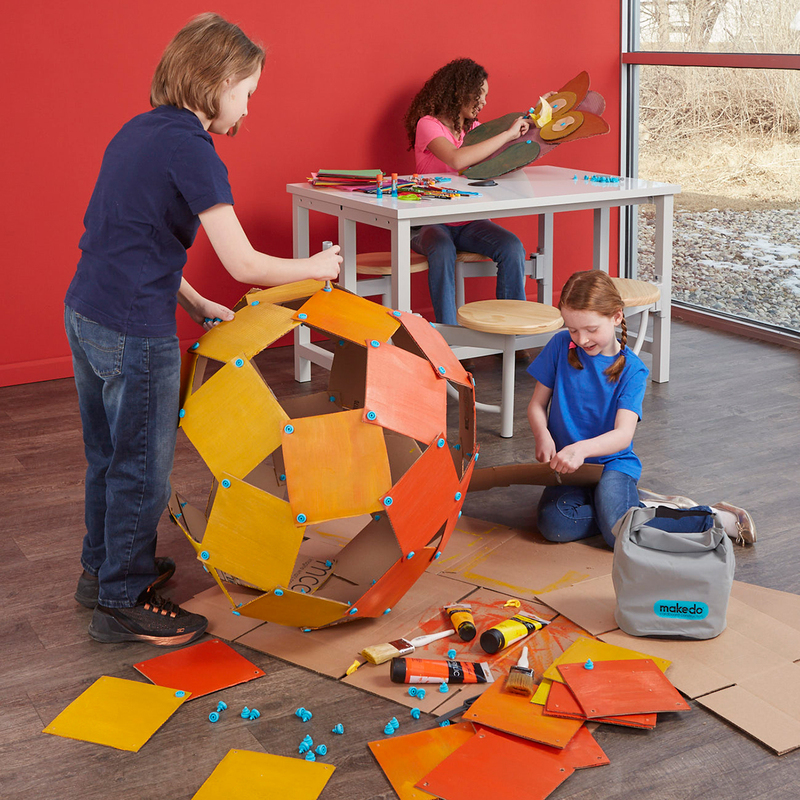 Read on for some of the top products to use in your makerspace or classroom that will get kids designing, building, and using their imaginations, from building blocks to curriculum-based activity kits. Strictly Briks building bricks are the perfect introduction to engineering concepts, as students use their designing and building skills to create towers, castles, skyscrapers — anything they can imagine! 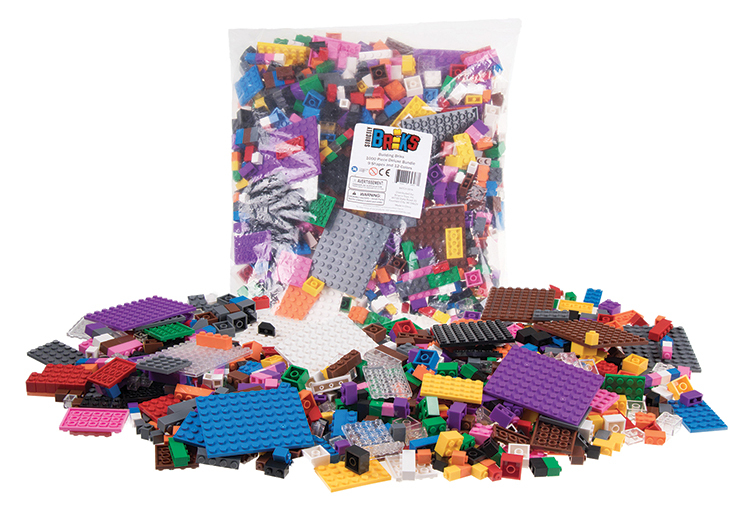 Building bricks and stackable baseplates come in multiple shapes, colors, and sizes and are compatible with all major large- and standard-size building brick brands. KEVA planks offer the perfect way to introduce makers to architecture, building, and creative design. Students build structures simply by stacking identical planks — no connectors, no glue. This simple yet compelling concept allows users to get creative while using problem-solving skills, and half the fun is knowing each design is temporary — after the creation is finished, it will soon be deconstructed, and the process starts all over again. Students of all ages and ability levels can build at their own pace and skill level. 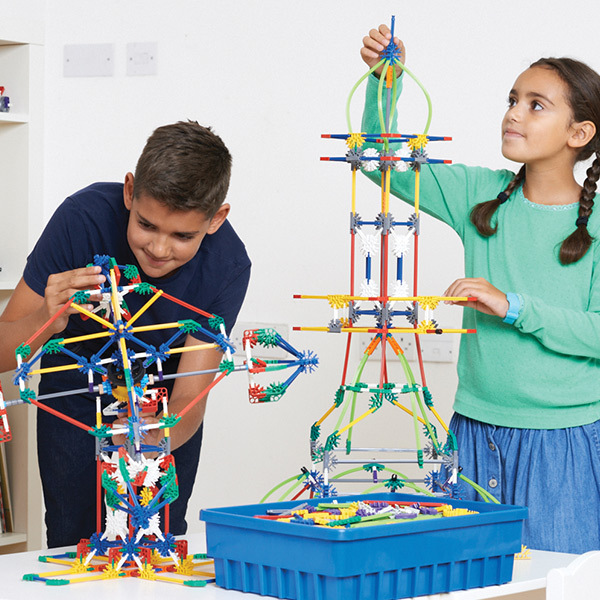 With K’NEX building sets, students of all ages can practice critical thinking and problem-solving skills while building a variety of structures. 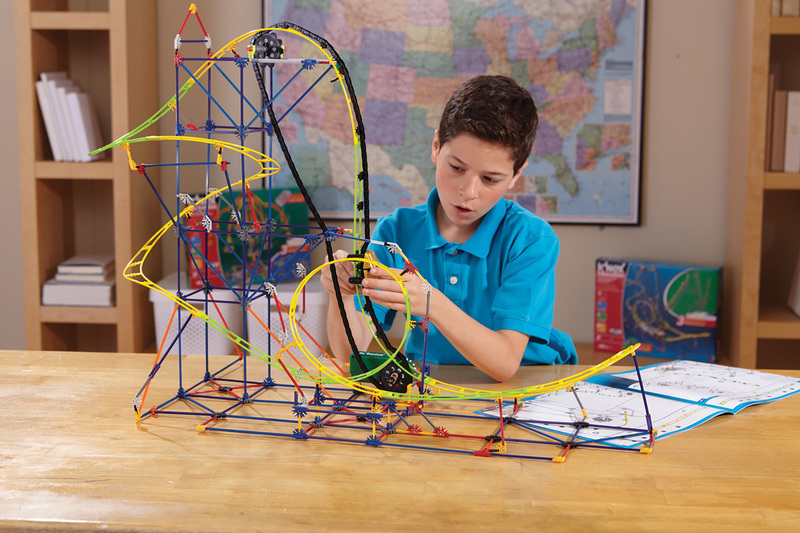 As students click components together to create models of bridges, roller coasters, simple machines, vehicles, and more, they learn how the building process works. Each set is different and includes building ideas, while also allowing builders to let their imaginations go wild. Sturdy pieces can be used over and over again. Age varies by set. One of the best ways to encourage imagination and innovation in your makerspace is with simple cardboard. The open-ended, reusable Makedo system gives makers of all ages safe and simple tools to make cardboard creations and learn valuable STEM skills in the process. Makedo screws, saws, and other tools are designed specifically for use with cardboard, making it easy for students to bring their ideas to life. Cultivate creativity, design thinking, engineering skills, and perseverance with versatile building tools for your makerspace. 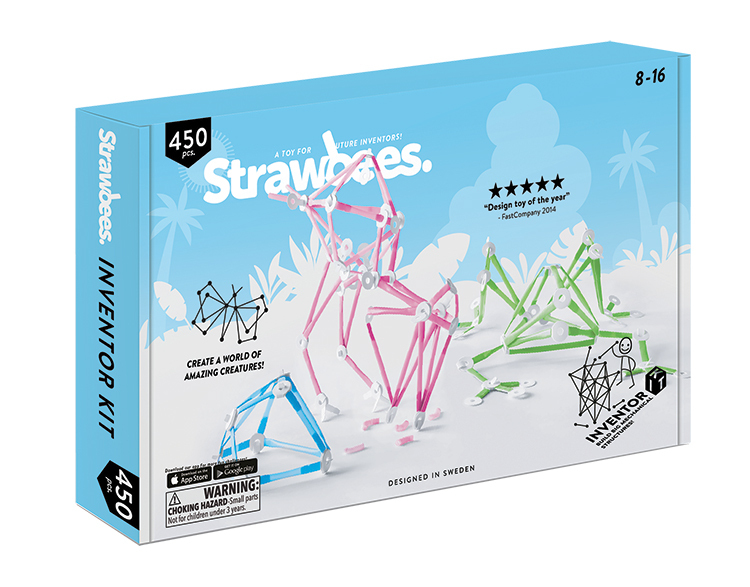 With Strawbees, students can use their imaginations to create their own contraptions using construction straws and connectors. Perfect for experimentation, Strawbees allow students to modify as much as they want by adding or removing pieces at any time. The extra-rigid straws are recyclable and can be used again and again, and kits come with maker projects for inspiration. Perfect for ages 5 and up. Brackitz building pieces connect at any point and any angle, enabling students to design 3D structures, simple machines, animals, buildings, and more. As they build, kids are immersed in design thinking, creativity, and the foundations of math, science, architecture, and engineering. Every Brackitz build starts with Structures, the base individual kit. 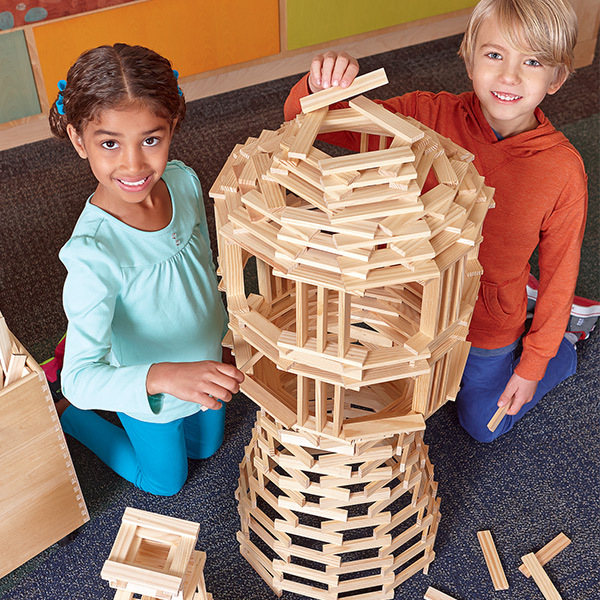 Kids can design, invent, and build an endless variety of creations, from skyscrapers to submarines to dinosaurs, using these versatile planks and hubs. 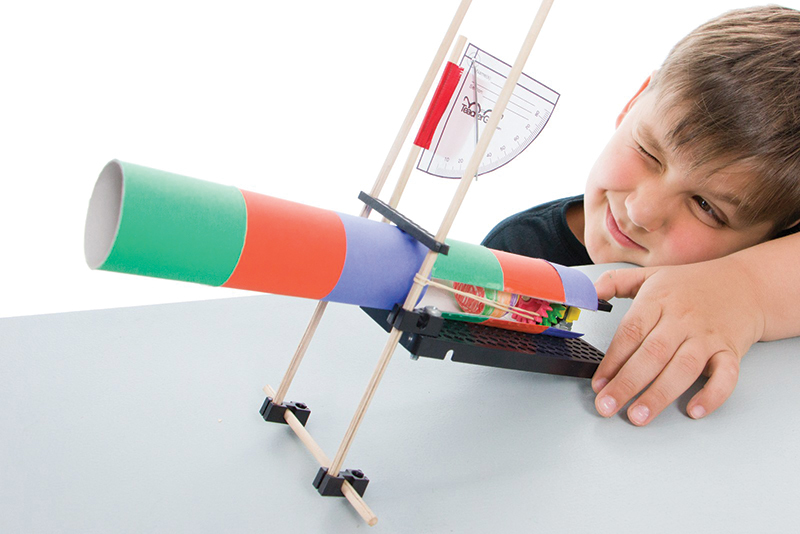 Additional kits allow students to create wheels and axles, pulleys and cranks, and more. You’ll also be able to access a growing collection of easy-to-customize, project-based lesson plans, student resources, and video tutorials online. Lessons include easy setup instructions, clear learning objectives, standards alignments (NGSS, ECERS-R), ideas for differentiating instruction, and more. 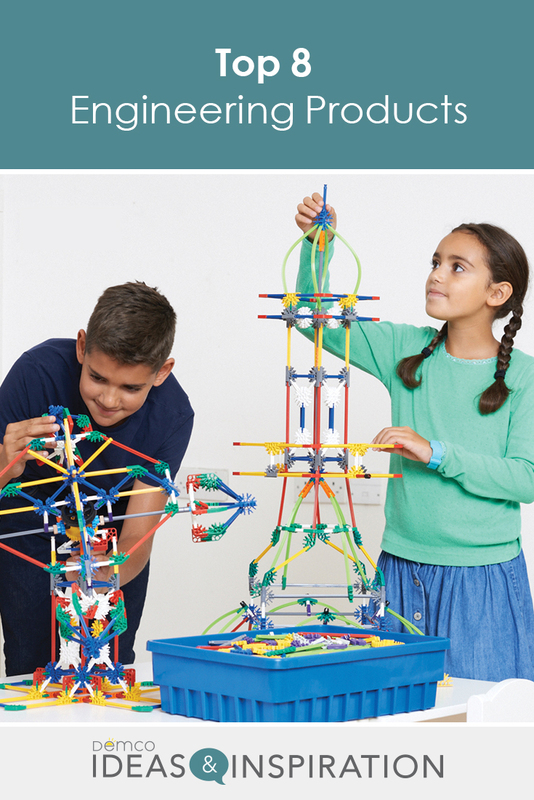 TeacherGeek all-in-one activity kits give students practice in a wide range of STEM skills as they build, experiment, and find scientific solutions. 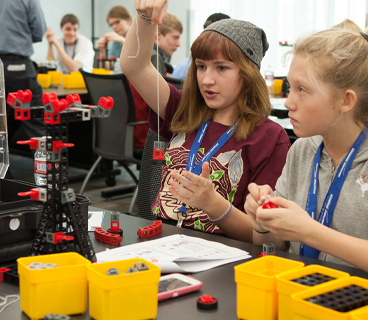 Each research-based kit includes detailed instructions and activity guides, allowing students to develop their critical-thinking and problem-solving skills while learning about engineering concepts and processes. Activities are aligned to educational standards, and additional videos and guides are available online to ensure students and educators get the most out of these comprehensive kits. 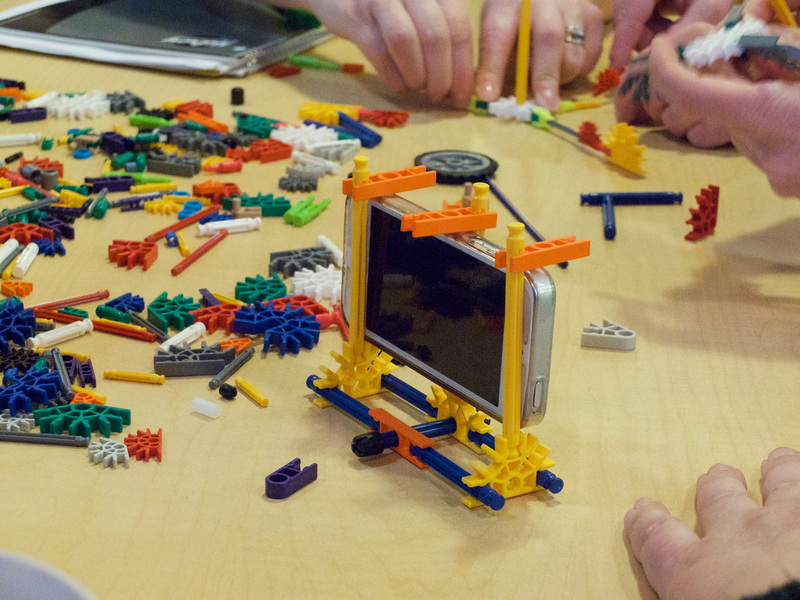 Help students from Pre-K through 8th grade develop a deep understanding of STEM concepts with Rokenbok Mobile STEM Labs. Each innovative lab spans a wide range of topics within the STEM-Maker Curriculum, a comprehensive online library of project-based lesson plans, student resources, curriculum packets, video tutorials, and more. Labs can be used as stand-alone units or be combined to teach the complete Pre-K–8 progression, which covers four major STEM learning phases: Mentored Construction Play, STEM Fundamentals, Applications in Design & Engineering, and Systems of Technology. Each lab includes all necessary components and supports up to four students working together.